Cadmium, black zinc nickel, green zinc nickel and nickel platings available. 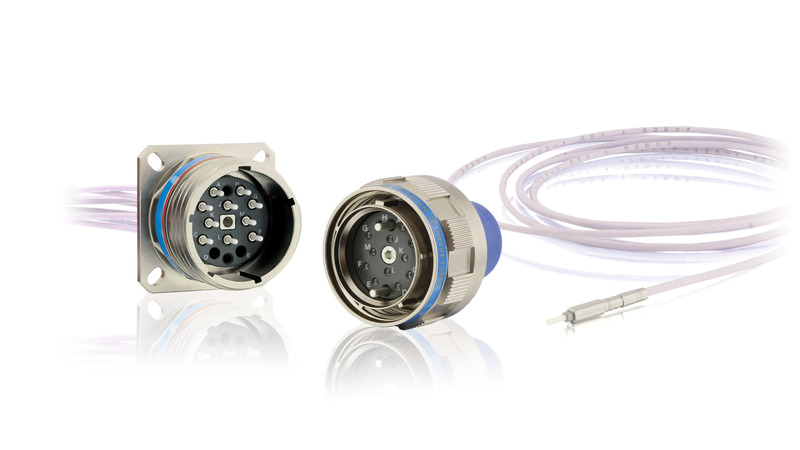 The ARINC 801 connectors and solutions are fiber optic multi-channel connectors and termini which comply with ARINC 801 specifications and 38999 Series III standards. This connector range is used for aerospace and military applications to offer high performances in harsh environments. Multimode and single mode termini are available and provide good insertion loss (IL) and return loss (RL) for high data transfer. This series is available in various shell configurations (square flange, jam nut receptacle, plug), sizes and materials (aluminum, composite, stainless steel,...). SOURIAU manufactures 100% of the solution in-house, including the shell, the patchcord and the termini, which guarantees our signature high quality and reliability even in the most extreme conditions.